While winter might seem the least likely time for intense gardening, it can be one of the most productive times in the Texas vegetable garden. Because our soils don’t freeze and we enjoy relatively mild temperatures for most of winter, cool-season veggies thrive from fall through spring. Once you embrace the cool season vegetable garden, you’ll quickly realize that you have the great fortune of growing your own food year-round! Do you take advantage of our longer fall and winter grow season? Without the stress of hot temperatures and searing sun, it’s also much easier to maintain your winter garden. Rainfall is more abundant and soil temperatures are much cooler. You don’t have to water your winter garden nearly as much as your summer garden and most cool-season vegetables are very easy to grow. Take a look at some of your choices: Broccoli, cabbage, kohlrabi, cauliflower, salad greens, Swiss chard, mustard greens, spinach, and Brussels sprouts. Onions and leeks go in the ground now. Plus, herbs such as cilantro, fennel, dill and parsley grow best from fall through spring. As we inch closer to spring, there are many seeds and transplants arriving here at NHG to plant now. For a list of all the delicious veggies you can plant take a look at our Edibles page. Tomatoes: did you miss the mid-January seed starting time? No problem! Tomato transplants begin to arrive late-February! Through February by seed indoors: Peppers, eggplant, salad greens, broccoli, cauliflower & collard greens. All of our seed varieties are organic. Through February by seed outdoors: carrots, cilantro, parsley, Swiss chard, turnips, scallions, kale & more. Easy to grow so they make a great garden project for kids. 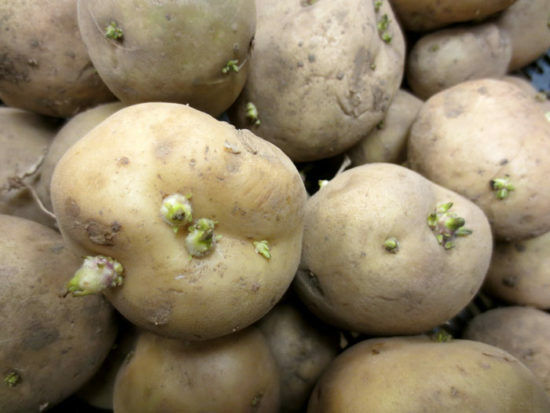 Potatoes, Rhubarb, Horseradish & Asparagus: Seed potatoes are in stock now and horseradish, asparagus & rhubarb crowns arrive soon for February planting. Come in-store for a planting lesson! Transplants of broccoli, cabbage, cauliflower, kohlrabi and greens will be in stock through February. Yes, you really can plant now! As you plan and plant your edible garden, why not try adding veggies and herbs to your ornamental garden? Many edibles are also beautiful and can serve the dual purpose of being an edible ornamental. Creeping herbs create an excellent, low-growing border around beds. Broccoli, Swiss chard and mustard greens are beautiful focal points in seasonal container gardens or mixed in with annuals and perennials. Visit us in the garden center for more ideas, inspiration and the best plants in town! See all our educational programs to learn more.